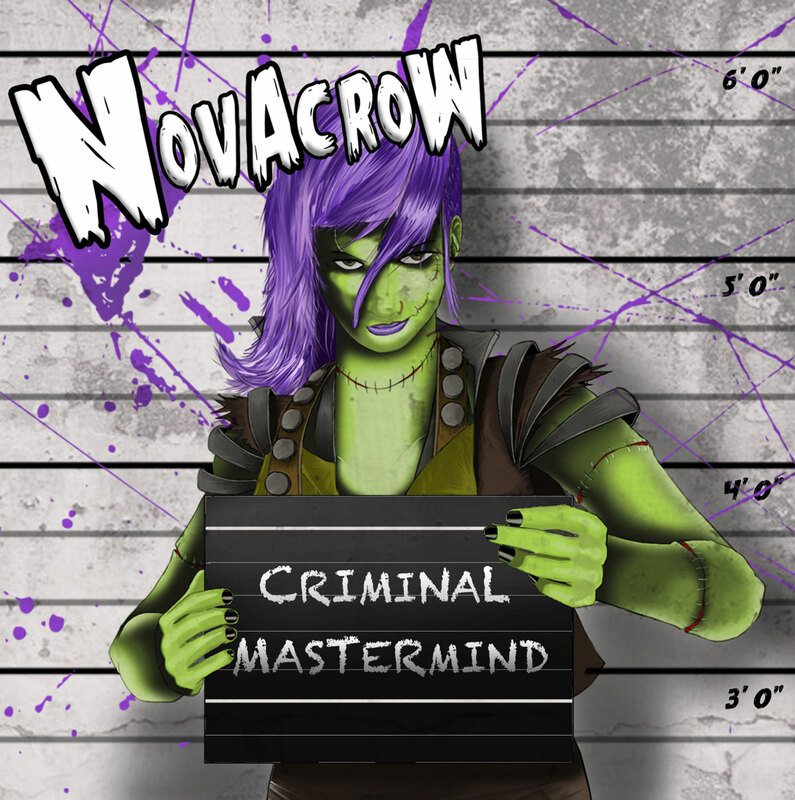 Liverpool’s Novacrow released EP Criminal Mastermind on November 16th and they kindly sent us a copy to gauge away at the distinctive storylines; from a werewolf-infested village in Fever Swamp to a ridiculous failed bank heist in Criminal Mastermind. With elements of grunge, metal and hard rock, wrapped in a deliciously dark carnival aesthetic, Criminal Mastermind is a slick and exciting offering from a refreshingly unique band! With part of their foundation built on the grunge sound, they will be associated with legends like Alice in Chains and opening with Fever Swamp and a spoken introduction reminiscent of a Hammer Horror skit hitting us with crunching riffs blends into second tune Laughing Gas. Criminal Mastermind is the highlight for me being heavier than previous tunes, coming comes at us with more groove all commencing from a story of a raid, a heist, a robbery. Lab Rat again shows the strength in Kitty’s vocals and the powerhouse of Pompeli’s drum skills. Are You Happy? which is one of those contradictions, lyrically it’s a lot heavier or darker than the music they perform tells us. I’m looking forward to hearing where these cats head.